RPM Slayer, Revo, T-Maxx 2.5R, T-Maxx 3.3 & E-Maxx 16.8 axle carriers are sold with 1 left and 1 right axle carrier, 2 outer 15mm bearings, 2 inner 21mm bearings, 4 aluminum setscrews, 4 Delrin bushing caps, and detailed instructions to help install them on your truck. 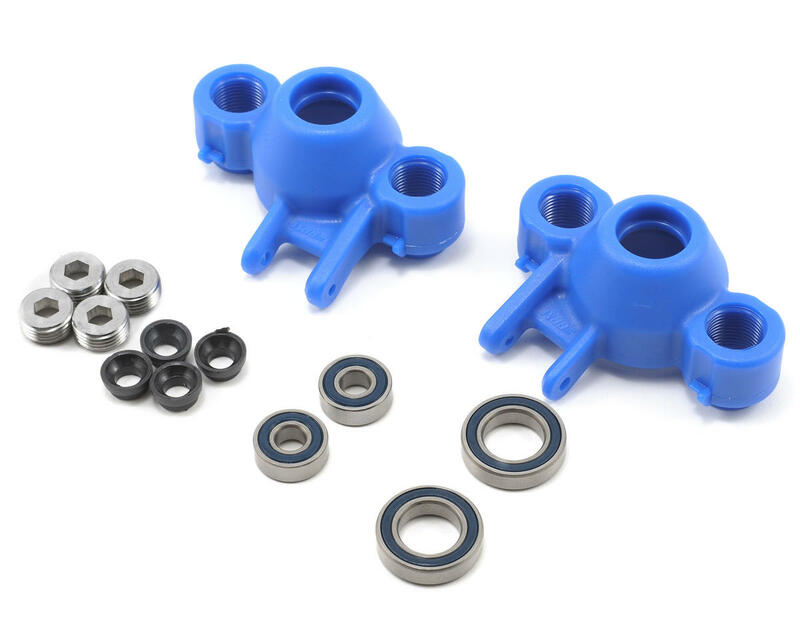 Replacement bearing sets (#80570) come with 2 inner 21mm bearings & 2 outer 15mm bearings. My pivot balls popped out of these axle carriers and I thought they would be covered under RPM warranty. 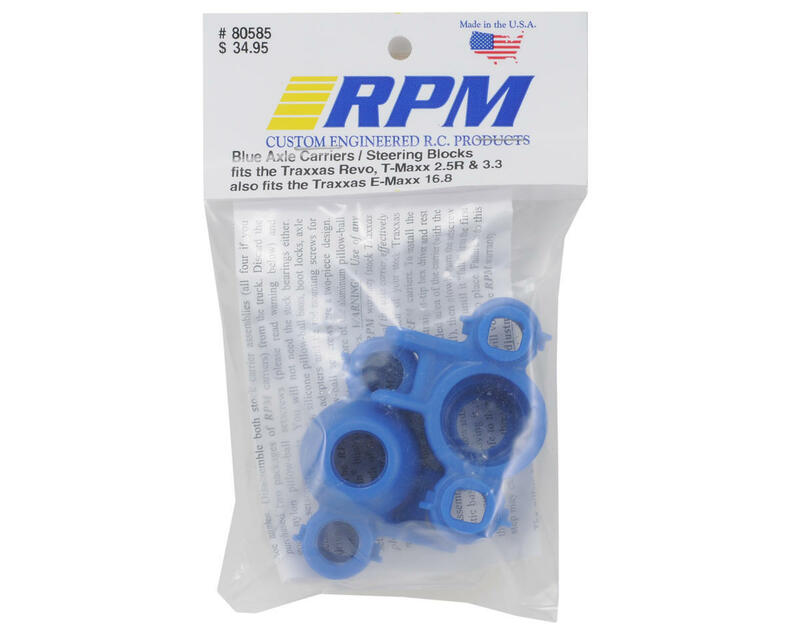 I contacted RPM and the said “We do not cover pulled pivot balls under the terms of the RPM warranty program.” Buyer beware the RPM warranty is spotty at best. These are nice, but they need to include shims for the axles. Compared to the stock part these let the axle move in and out too much. The plastic is softer too and I damaged it adjusting the pivot balls.